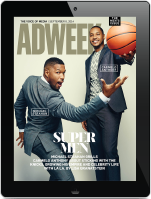 There’s a new advertising awards program in town. 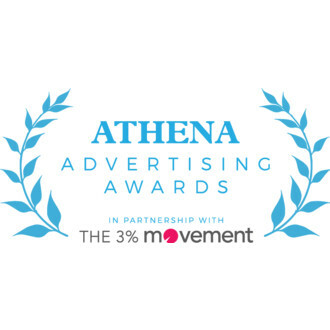 The 3% Movement collaborated with the Athena Film Festival, “a joint initiative of the Athena Center for Leadership Studies at Barnard College and Women and Hollywood,” to create the Athena Advertising Awards, which will recognize top advertising telling the stories of women and girls. The Athena Advertising Awards is open to North American brands and agencies and will feature six categories: Film, Digital/Mobile, Social Marketing, Print, Events/Experiential, and Integrated Campaigns. Submissions are open beginning today, with a September 8 deadline. The awards presentation will be part of The 3% Conference in New York on November 3 and will then be replayed at the Athena Film Festival, which will take place from February 22-25 at Barnard College. For its part, the Cannes Lions International Festival of Creativity responded to a petition by #WomenNotObjects founder Madonna Badger to ban ads objectifying women, while also making a move toward greater gender diversity in its jury panels. This came after the festival awarded an Almap BBDO Brazil outdoor ad for Bayer aspirin with a Bronze Lion in the outdoor category, despite objections that the campaign, which included copy like “‘Don’t Worry Babe, I’m Not Filming This’.Mov,” was overtly sexist. It wasn’t the only incident at the awards ceremony that led to accusations of sexism or female objectification, as VaynerMedia and Thrillist were criticized for a party invite specifying “attractive females and models only,” which they attributed to third party events company iGetIn.